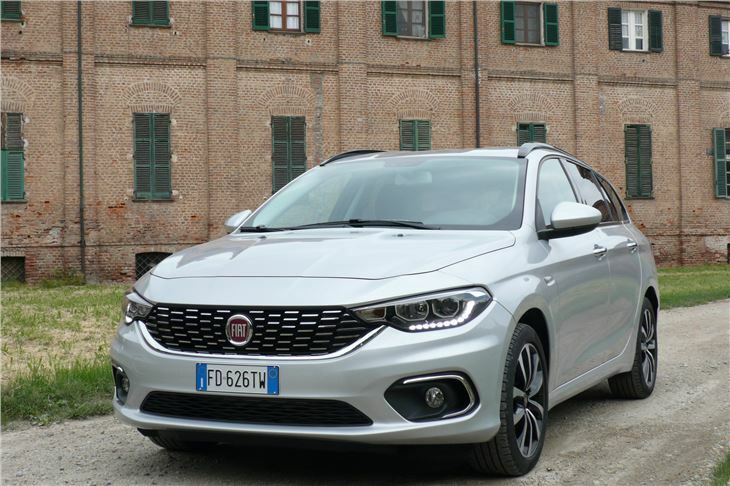 The mere name of the 2016 FIAT Tipo brings back memories. I was involved in the original 1988 advertising campaign: “Car of the ‘90s, now.” Later I made more money trading Tipos in the 1990s than any other car. Loved them. 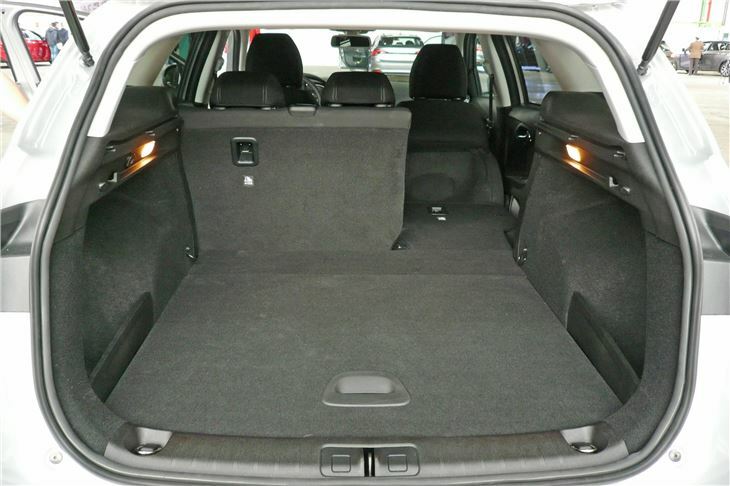 They were all genuine 5-seaters with more room inside than anything else in the same class. Even Inspector Montalbarno had one, and still seemed to have one until the evocative TV series ended last year. 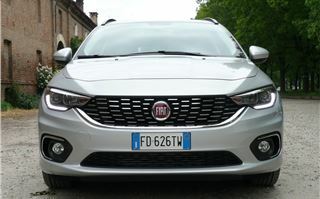 There’s another Montalbarno connection, because Jana Nanini not only sang the title song for Montalbarno, she also sang the commercial track for one of the Tipo’s successors: the Bravo of 2007, that succeeded the less than successful Stilo of 2002 and the Brava/Bravo duo of 1995. That’s enough of history lesson. 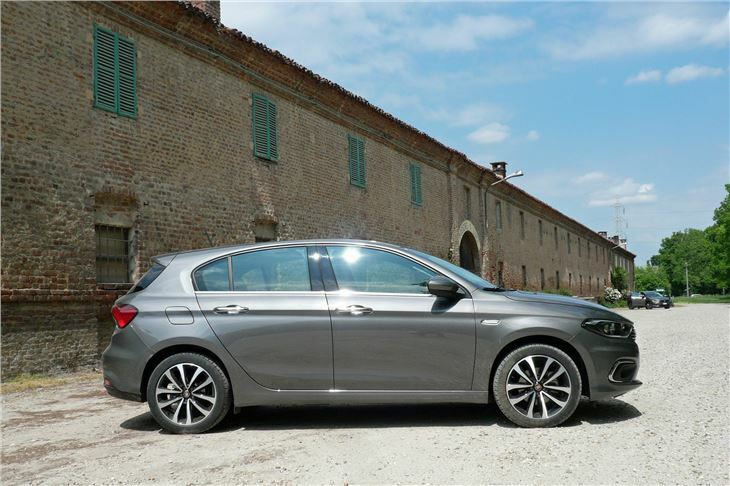 The Unique Selling Proposition for the new Tipo is the same as the original: more room inside for less money; with the capability of accommodating five six footers front and back. And this is at no sacrifice in loadspace: a class-leading 440 litres for the hatch and 550 litres for the station wagon. 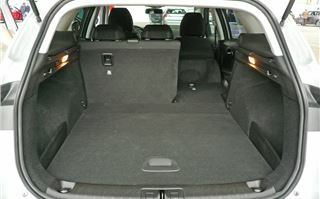 The load area in the hatchback is particularly deep and square, while the two-stage load area in the station wagon allows for a completely flat floor with the rear seats double folded. There is space underneath both for a full sized spare wheel. 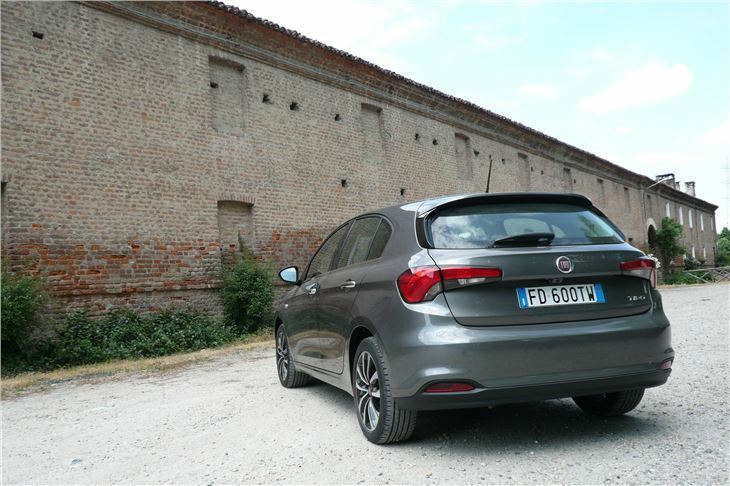 The main pitch of the car, repeated in its commercials, is: “You don’t need much to get a lot.” However, while the Tipo hatchback starts at just 10,995 Euros in Spain, that is only after Spain’s generous scrappage scheme. In the UK, starter price is £12,995. But don’t let that put you off. A mid spec 1.6 120PS Tipo T-Jet turbo petrol is still only £14,995. 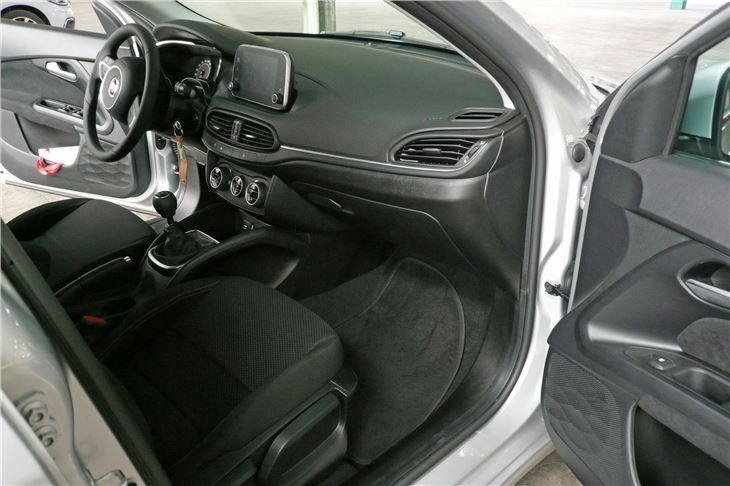 The price includes aircon, remote central locking, DAB radio, Bluetooth (all standard on all Tipos), plus a 5-inch Uconnect touchscreen infotainment system, leather covered steering wheel, 16-inch alloys, front fogs, rear parking sensors, cruise control and a proper handbrake. 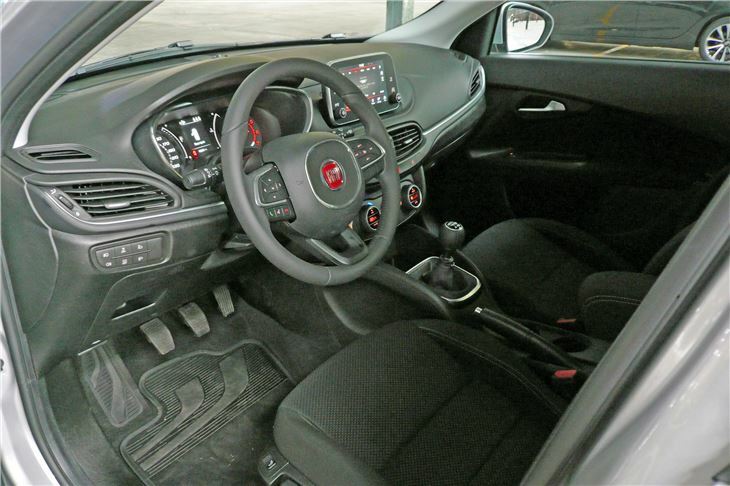 All the things you want (except satnav, which is just £250 extra). 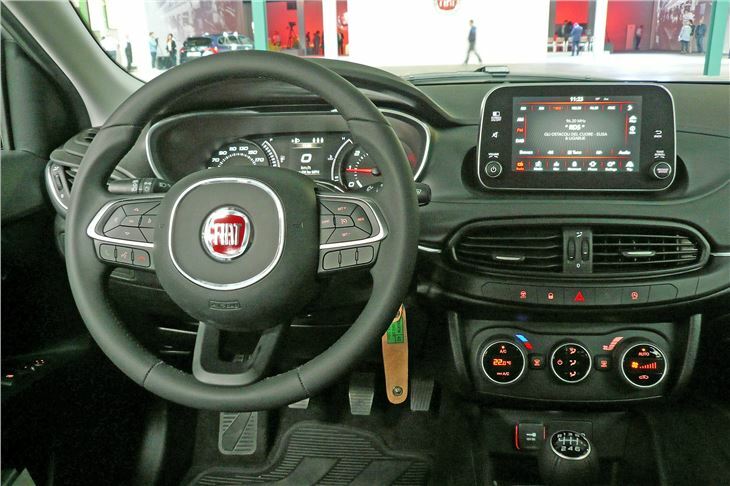 And none of the stuff you don’t want, such as ridiculous stop start buttons an electromechanical parking brake and impossible to decipher touch-screen controls for the ventilation. 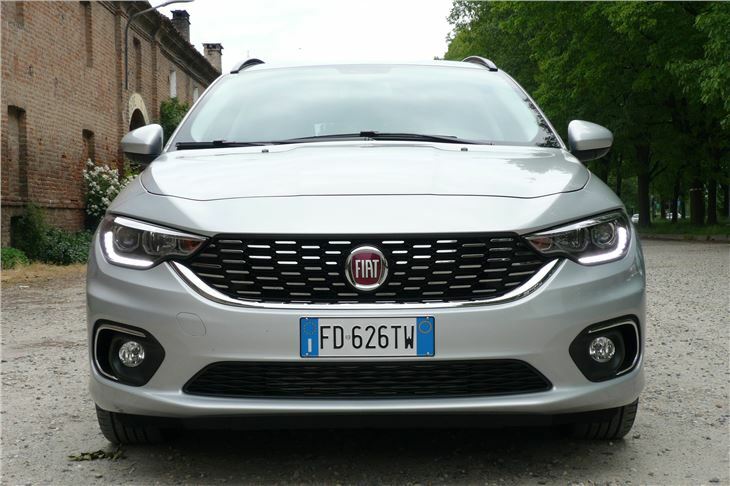 Common sense has triumphed with the Tipo. You don’t have to pay for what you don’t want. The driving experience isn’t bad either. 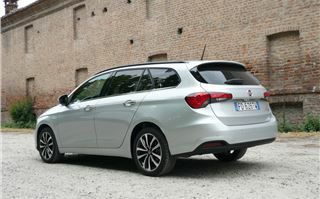 We took out a 1.6 120PS turbodiesel station wagon and a 1.4 120PS turbo petrol hatchback. Ride quality isn’t super absorbent, yet isn’t bad either. But the main joy is the steering. It’s direct and, despite low profile tyres on the test cars, there’s just enough ‘sqidge’ factor to feel exactly what’s going on. You’re as ‘at one’ with the car as you are with a Mazda 3, and that’s a serious compliment. The engines are adequate, but aren’t up there with the best. 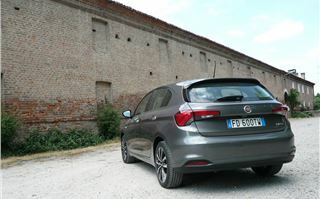 The 120PS diesel doesn’t have quite the grunty torque of a 1.6 Honda iDTEC, but it’s okay, and (so far) it’s very low CO2. The 120PS 1.4 T-Jet lacks the torque of a PSA 1.2 PureTech 130 or a VAG 1.4TSI, but it gives enough. And it’s £4,000 cheaper than the Peugeot 308 1.2 PureTech 130, which is itself at least a grand less than the VAG offerings. In this case, “You don’t need much to get a lot” is 25% less, or up to £5,000 less in real money. 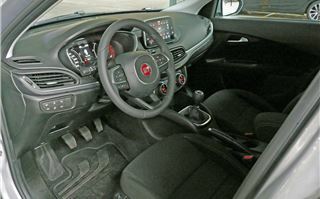 The instruments are big and clear with both an analogue and a large digital speed display that can be switched from mph to km/h at a touch of the OK button on the steering wheel. Very handy. 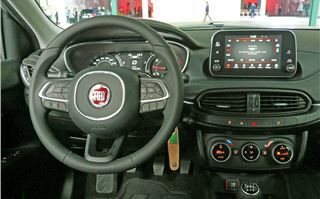 The satnav is easy and intuitive to operate as well as high-set and line of sight. You get normal, easily understood heating, ventilation and a/c controls. 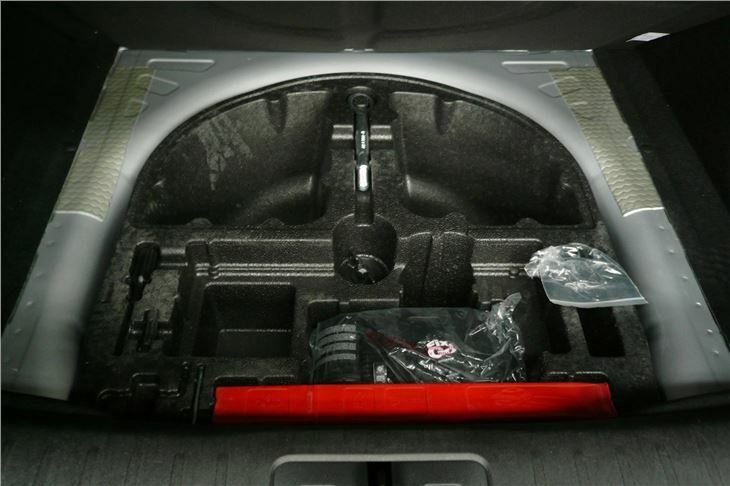 And, beneath them, a usefully deep receptacle for ‘mobile devices’ with an array of power, USB and aux-in sockets. 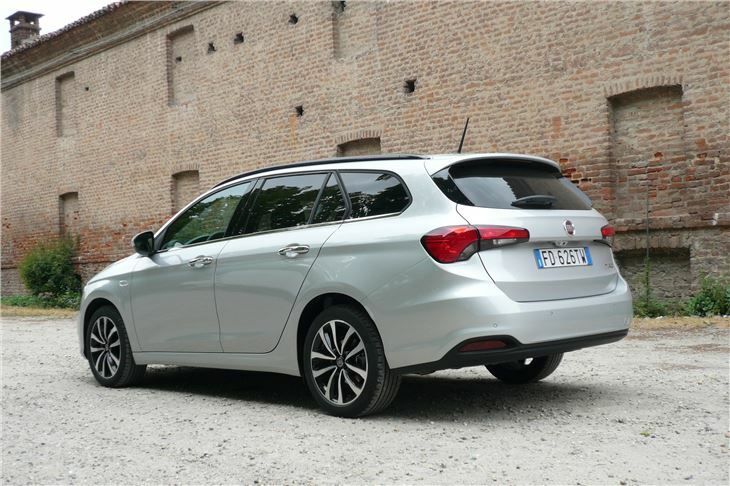 The Tipo station wagons are a straight £1,000 more car-for-car than the hatchbacks, and these are big estates. 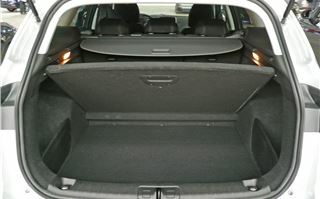 The load length is 1,670mm to the bottoms of the tipped over rear seat squabs,;1,800 mm to the backs of the front seats, and even more behind a short driver. Width is 1,010 mm and, unlike the hatchback that has a consistent 1,010 mm width, there’s a maximum of 1,360mm behind the back seats for things like golf clubs. Three six footers can sit across the back seat behind two six footers. 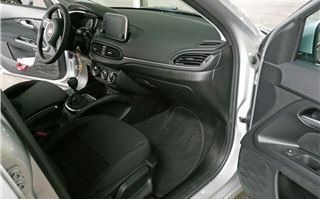 But piggy in the middle sits a bit higher, still without having to bend his neck and with the benefit of a decent head restraint. 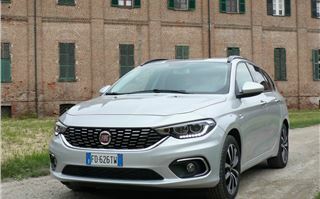 Presenter Luca Napolitano told us that, despite using existing engines and transmissions, the new Tipo had been an all new ‘Blank Page Design’ with the team tasked to balance functionality, simplicity and personality with price. They’ve done exactly that. 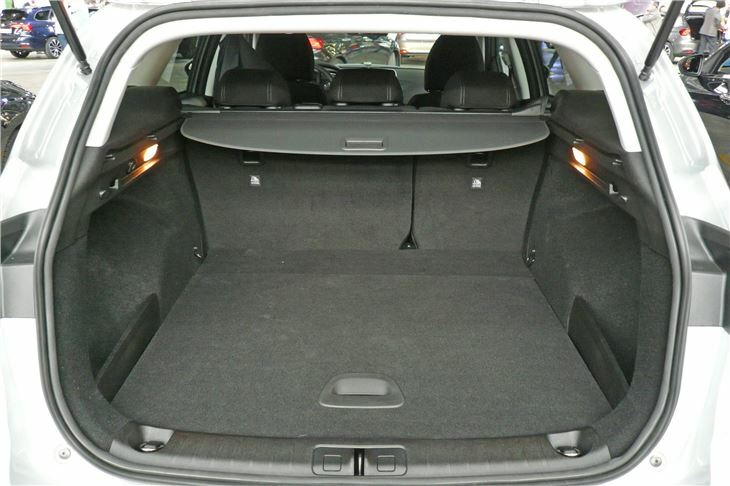 It’s an excellent car without any gimmicks. Why pay more for what you don’t really need or want?